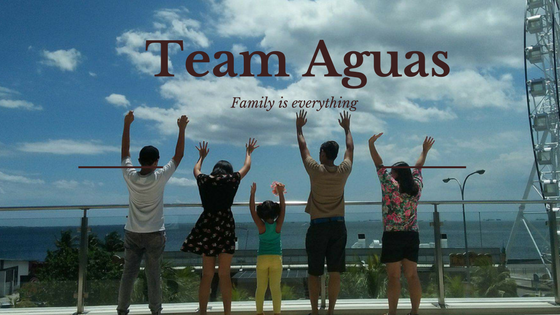 #TeamAguas: BUM HOLDS FASHION SHOW WITH COSPLAY AS THEME!!! 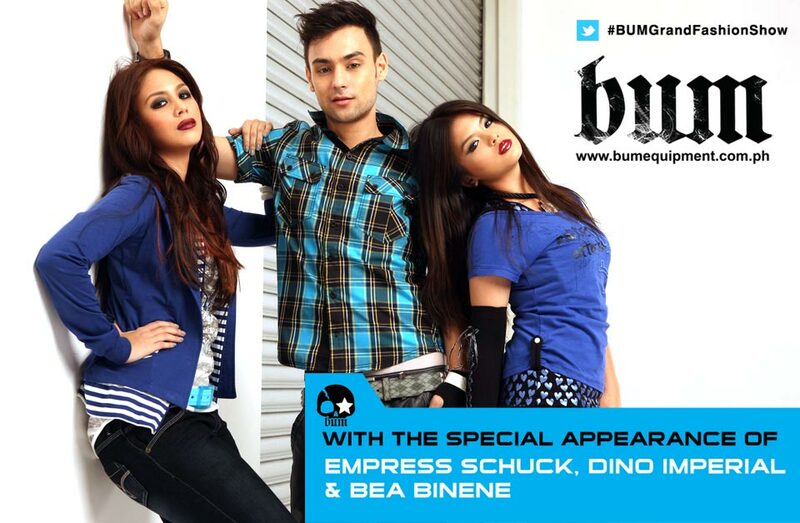 BUM HOLDS FASHION SHOW WITH COSPLAY AS THEME!!! 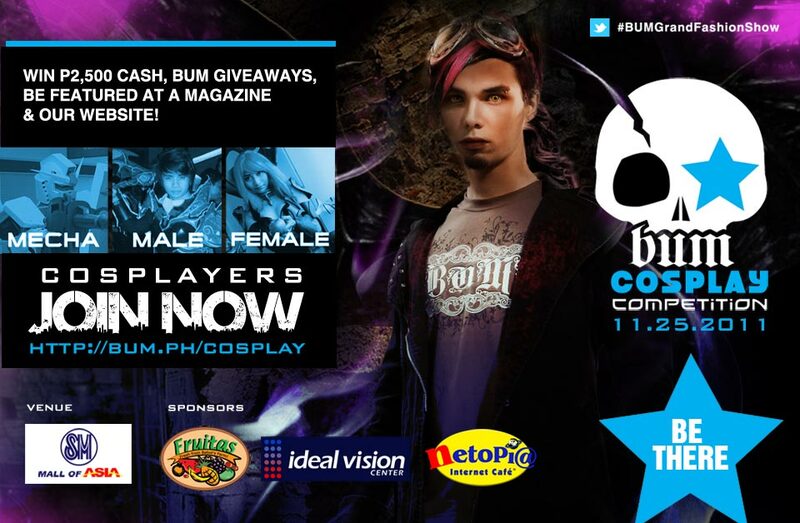 Local clothing brand BUM brings the Cosplay trend to the fore with a one-of-a-kind fashion show at the SM Mall of Asia. If you have a story to tell, don’t keep it to yourself. Flaunt and let the world know through fashion. This has been the youth’s battle-cry these days. Not only are they daring, wearing their colors on their sleeves proudly, they are pushing the envelope when it comes to dressing up, as well. Even the term “costume play” or “cosplay”, which is the act of dressing up as a fictional character inspired from an anime TV series, or a character they idolized, has found its way into the youth’s wardrobe. Cosplay is no longer a style but it has become a “trend” that is normally seen and worn on the streets. To underscore this “daring” and “experimental” style philosophy, BUM is putting together a fashion show on November 25 at the Music Hall of the Mall of Asia in Pasay City. 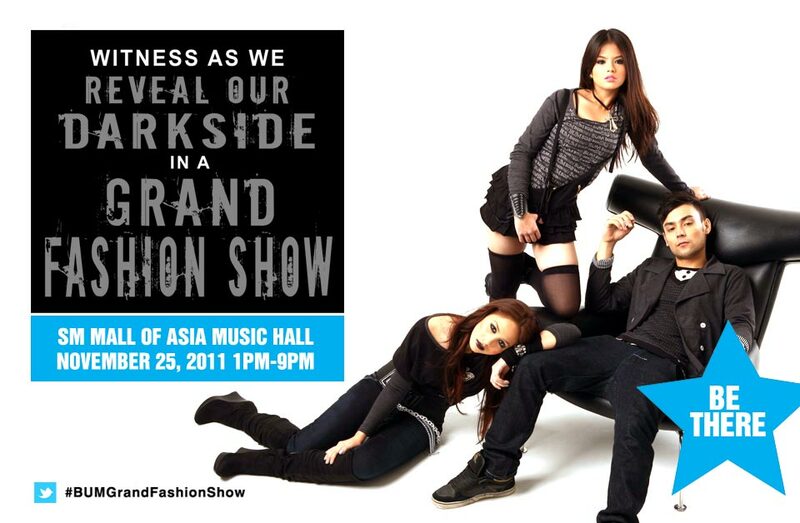 Called Reveal Your Darkside, this fashion celebration is the culminating event of an ongoing nationwide contest. 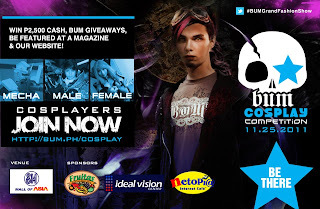 Since August 8, BUM has been receiving through its website (http://www.bumequipment.com.ph) countless entries from young stylistas who want to share the world their passion for the brand and the cosplay trend.